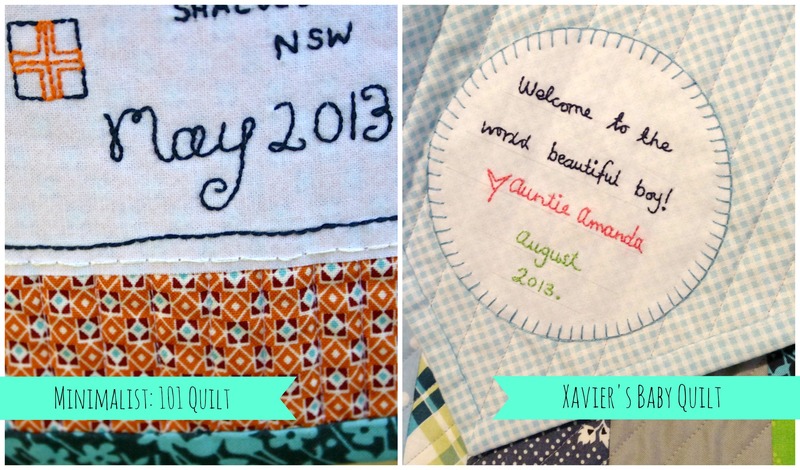 Quilt Labels. They’re one of those things you usually forget all about during the glorious triumphant moment of finishing a quilt! By the time you’ve conquered sewing down that last part of the binding, you’re thinking, ‘Yes! That’s it! It’s finally finished! !’ No more hand sewing! No more schlepping this heavy quilt all over the house. There’s still one last little bit of sewing that needs to be done. And it’s one of the most important elements you’ll add to the quilt. 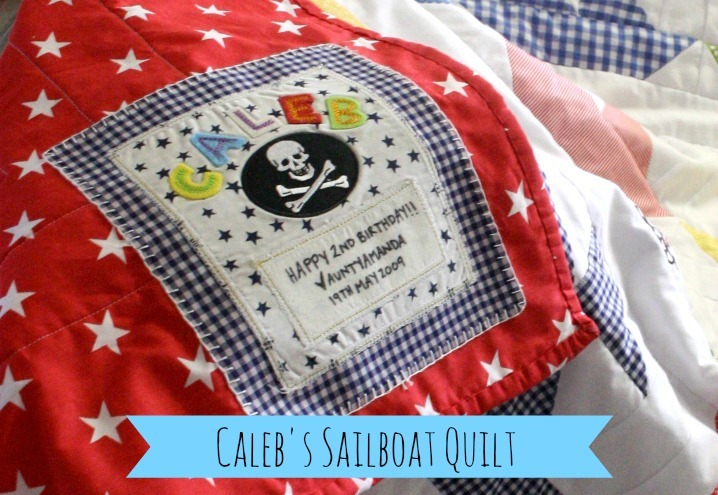 Quilt Labels are like the heart and soul of a quilt. They list when the quilt was made or finished, who it was made by, who it was made for, it may list the name of the quilt and/or display a special message or saying about the quilt or be directed to the person who will be receiving the quilt. The creative possibilities of making quilt labels are literally endless. There are no boundaries or rules to what they should look like and there are no wrongs or rights to how they should be attached to a quilt. 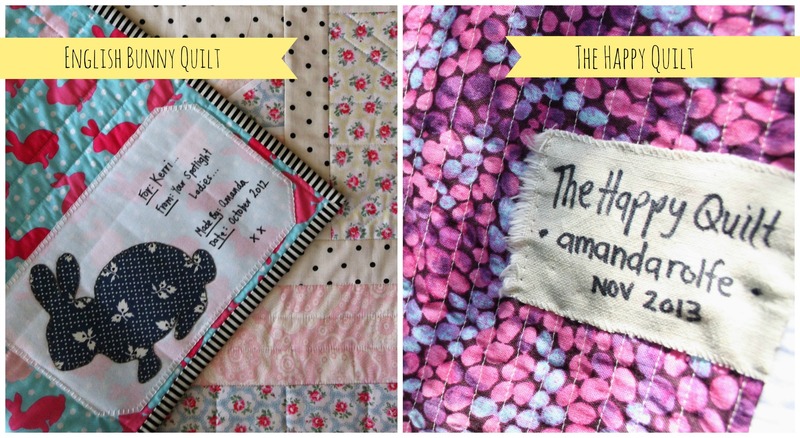 The way that you want to make and attach a quilt label is entirely up to you! These panels are a great idea for those of you lack time or confidence in making a label from scratch. Labels like these tend to be personal and direct with themes like ‘Made by Grandma’ or ‘First Baby Quilt’ or ‘Congratulations’ etc. Most quilting, fabric or haberdashery stores should sell similar type label panels that you can buy and stash away for a rainy day. When it comes to writing on these fabric labels, I usually like to use Sharpie pens. 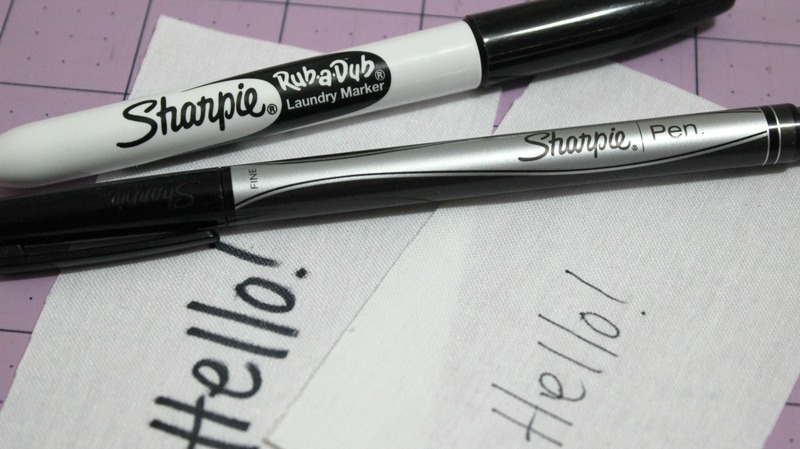 The two that I tend to use the most are the Sharpie Rub-a-Dub Laundry Marker (with a thicker type nib) and a Sharpie Fine Point Pen – both in black. Sometimes, often than not, I make my own labels. For the base of the label I’ll cut out an adequate size of 100% Cotton Homespun (in a practical colour) and write, using one of my Sharpie pens, all of the information that I feel is needed to accompany the quilt. 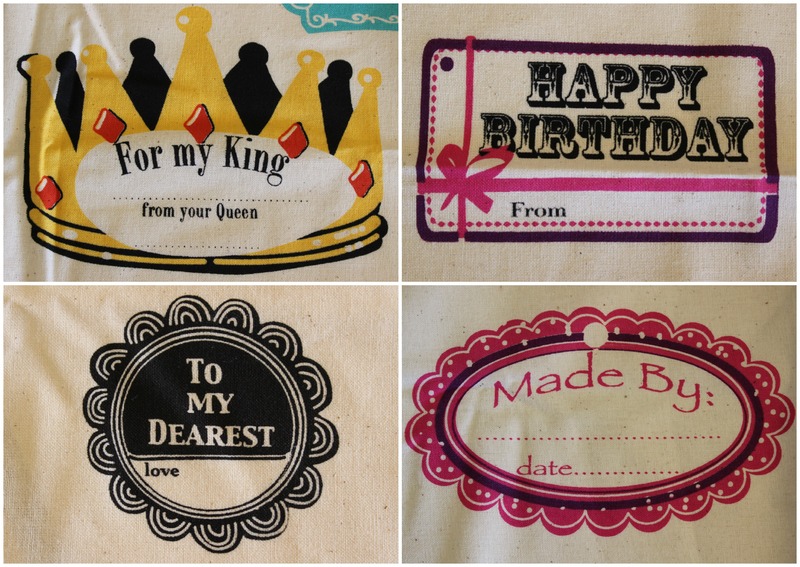 I love handmade embroidered labels. There’s something magically personal and sweet about attaching a little label that has been meticulously stitched together. 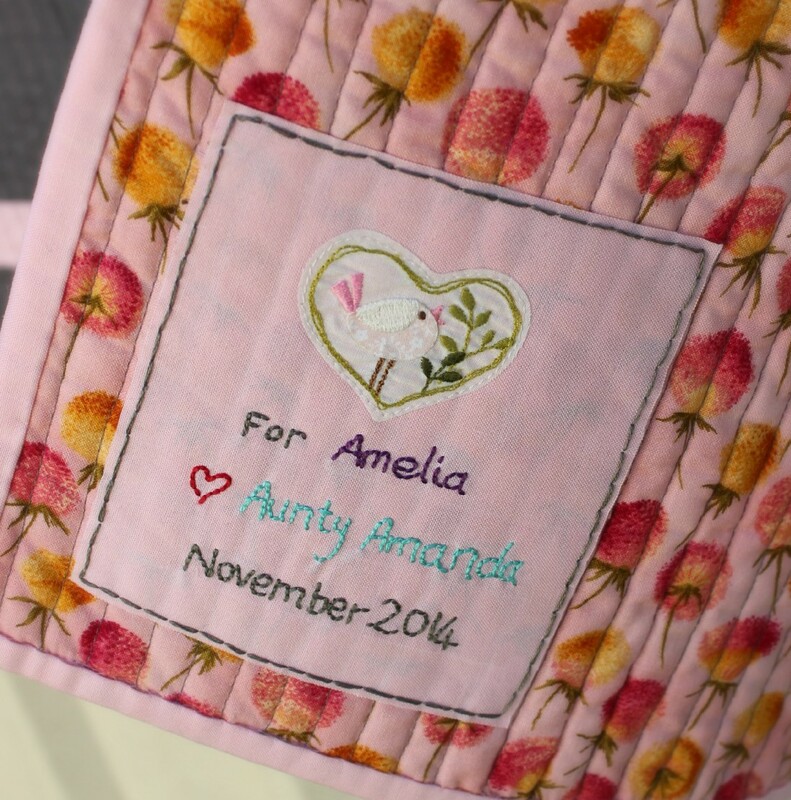 An embroidered label just takes the quilt to a whole other level of being specially made for a particular reason or a very special person! Just like the hand written labels, I use a foundation of Cotton Homespun (usually in white or cream) and gently sketch in the details of what I want to embroider in lead pencil. Then using DMC threads/floss in matching or contrasting colours to the quilts’ theme and then carefully stitch the label into life. 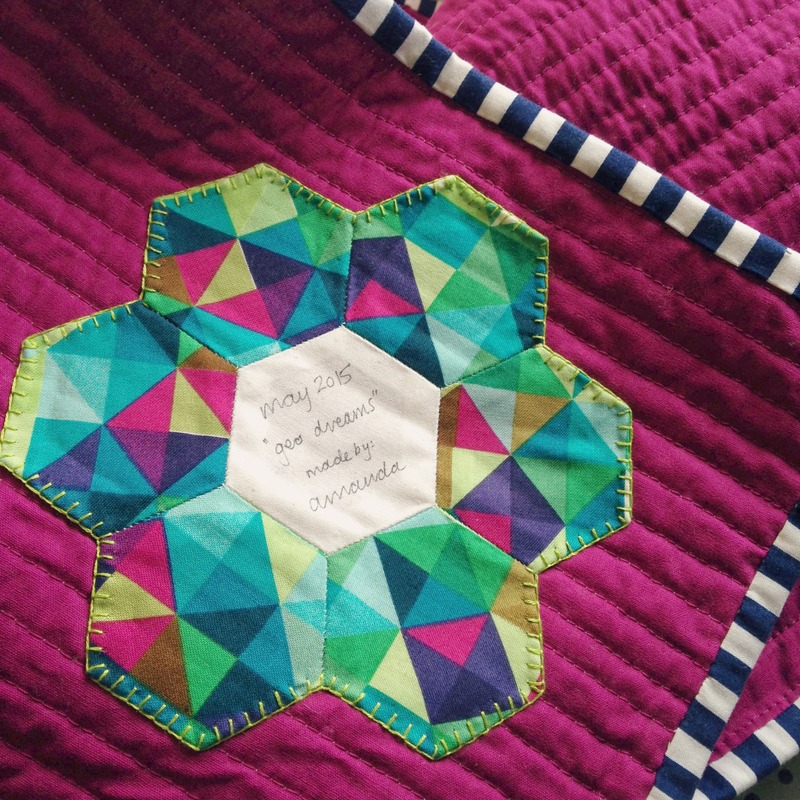 If you have any left over blocks or elements that didn’t quite make the front of the quilt, you can very easily turn them into the centrepiece of the quilt label! 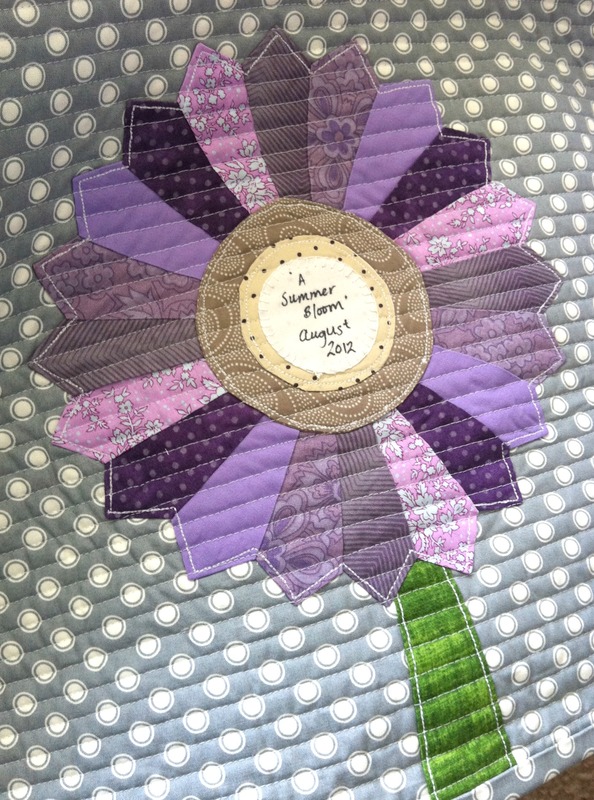 An example I can give you is the story behind my A Summer Bloom Quilt Label. I made a Dresden Plate that was to be attached to the front of the wall-hanging (I sort of had a blooming flower effect idea rolling through my head at the time…). The idea was a complete flop but I didn’t want to waste the time I had put into making the Plate. So instead had a spark of creative genius and made it into the label of the quilt! This particular type of label I’ve never made, so can’t quite comment on it in too much detail. But if I were to make a quilt label on the computer I’d possibly use a Photoshop/Illustrator type of software (or an online editing site like PicMonkey) to design the type of label I wanted. I would save it as a particular size with the right ppi (pixels per inch) and then print it onto special A4 printable fabrics that I’ve seen at office supplies stores and fabric/quilting stores. They usually cost a pretty penny which is why I’ve never really given it a go. Well, the method I like to use is appliqué. 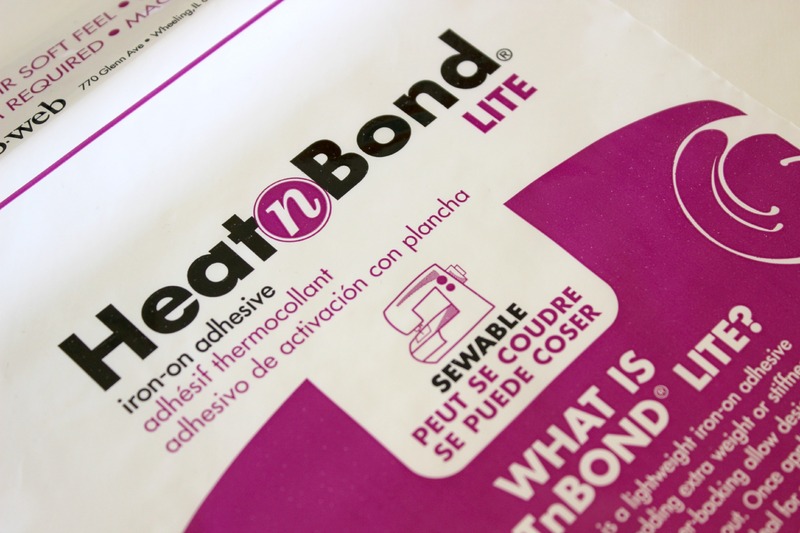 I use a product called HeatnBond Lite that is a lightweight iron-on adhesive that can be sewn through either by hand or using a sewing machine – perfect for any quilter’s appliqueing needs! I cut the same size amount of that of the label then iron (using a hot dry heat) the shinny side of the paper to the back of the label, wait for it too cool, peel the paper backing away from the label and then iron the label front side up to one of the bottom corners of quilt (usually the left). To secure the edges, I then carefully stitch a blanket stitch (or buttonhole stitch) around the edges ensuring that I don’t bring the stitch through the top of the quilt. And ta-dah!! A Quilt Label is completed! 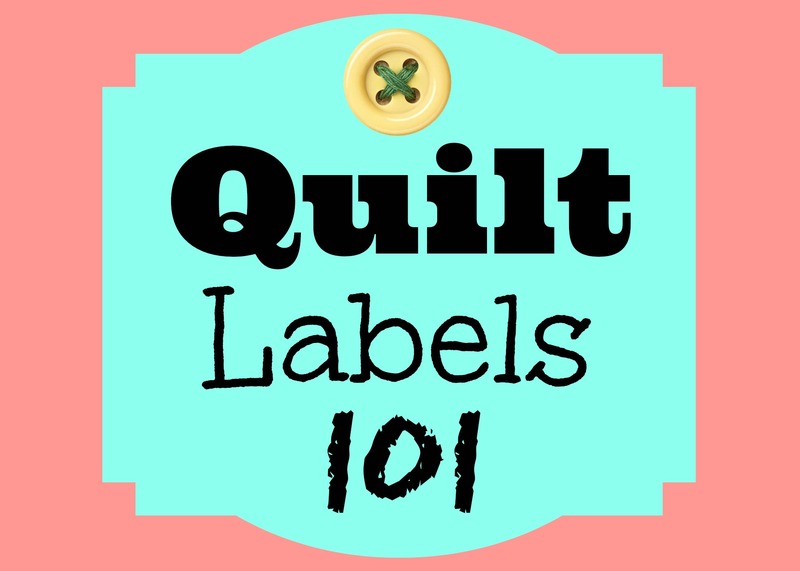 If you want to see me chat a bit more about Quilt Labels, check out this video I posted on YouTube! I just love your blog! Fresh, interesting and someone who is just wanting to learn and grow. And I like how you are positive to yourself. Keep going… I’ll keep following.